Do you get around? 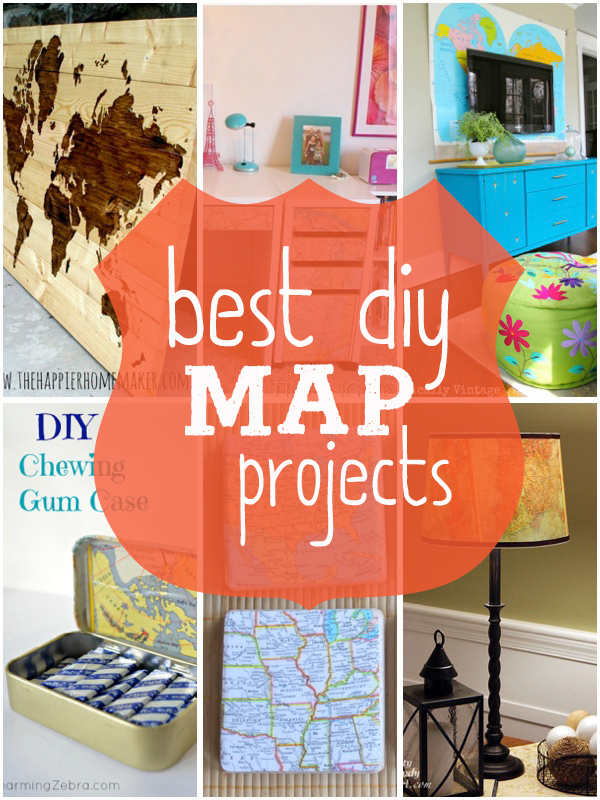 Wait, let me rephrase... do you like awesome DIY map projects? Me too! 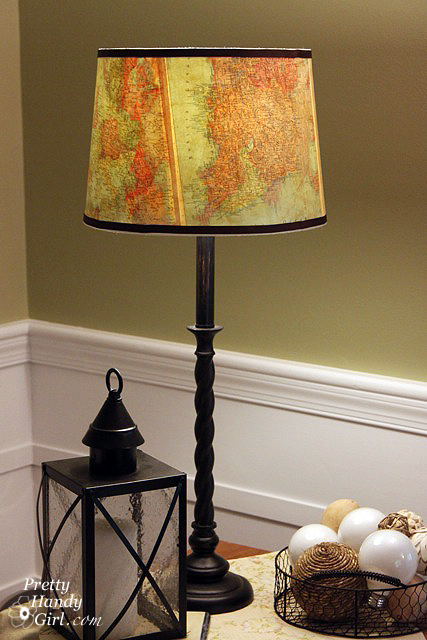 I think maps are just so great as decor. In fact, I came across all these ideas while thinking about a project I have been wanting to do for some time. Maybe someday I actually will. Don't hold your breath. Ooo, actually it might be fun to see how long you can hold your breath. 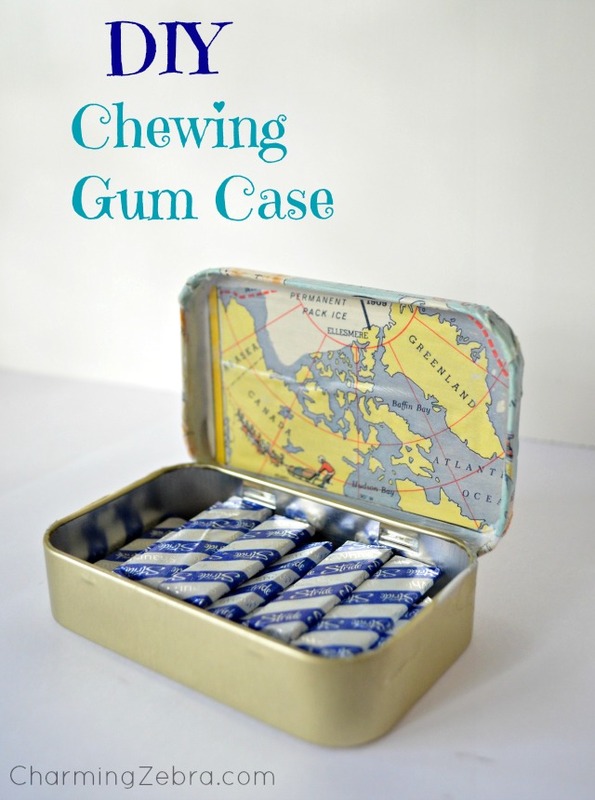 See if you can hold it while you read this post! Ready, go! Hello cute table. 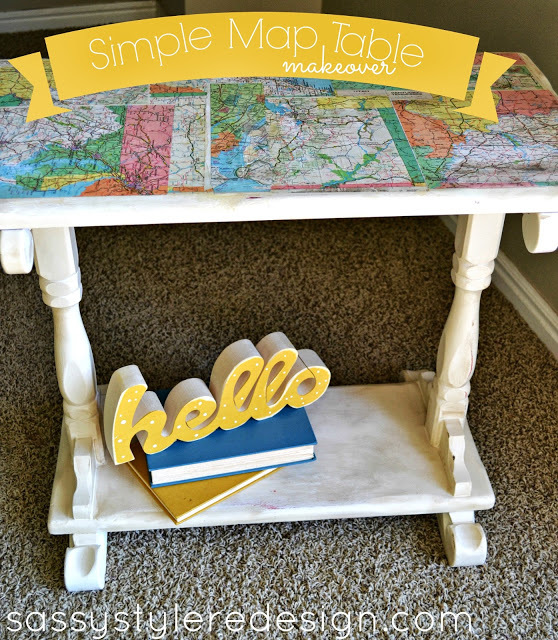 What a fun way to add some interest to a simple end table! You drink beverages right? 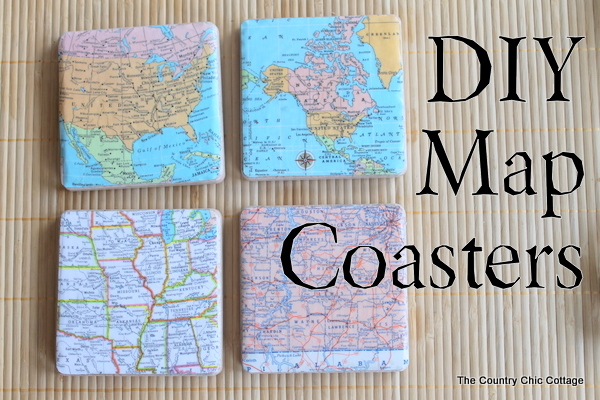 Well then you totally need some map coasters! I can't believe you don't already own some. I mean, they're pretty cute. Yo ho ho. I don't know why exactly but this project makes me feel so piratey... totally a word BTW. 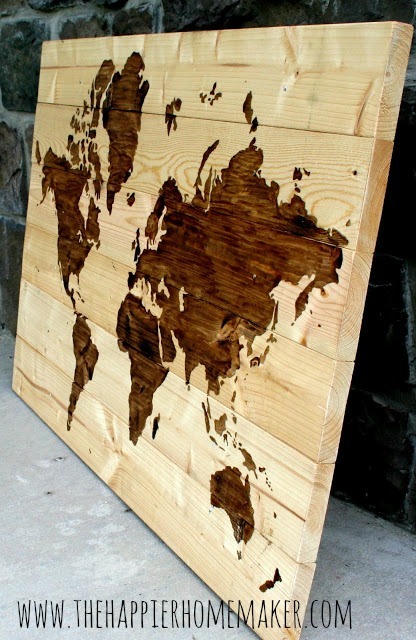 But seriously, perfect, and I mean perfect, project for a boy's room. 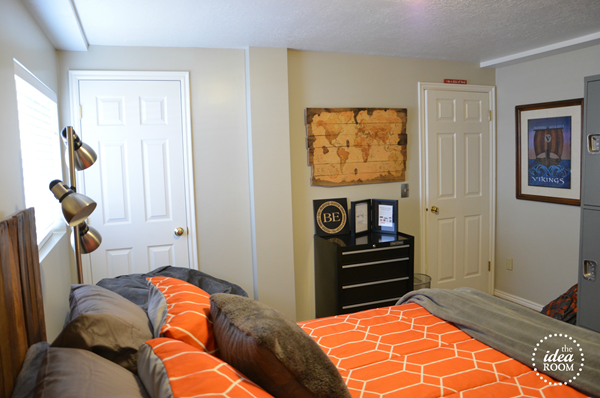 And THIS is a perfect project for a girl's room. I adore this desk. 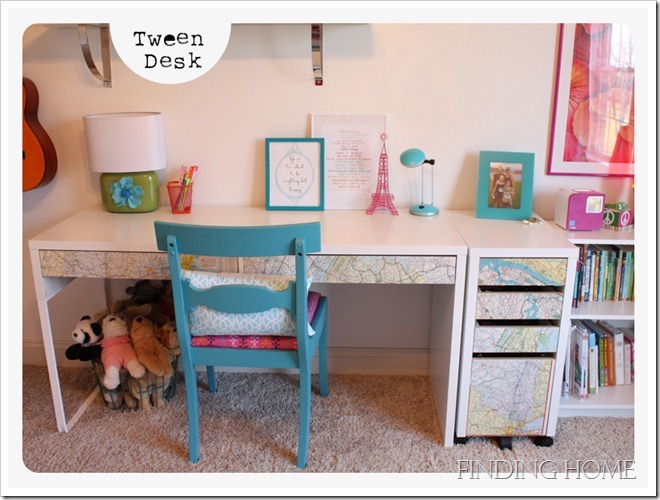 Did you think of mapping (new use for the word) desk drawers? I didn't! So cute. I'm officially impressed! 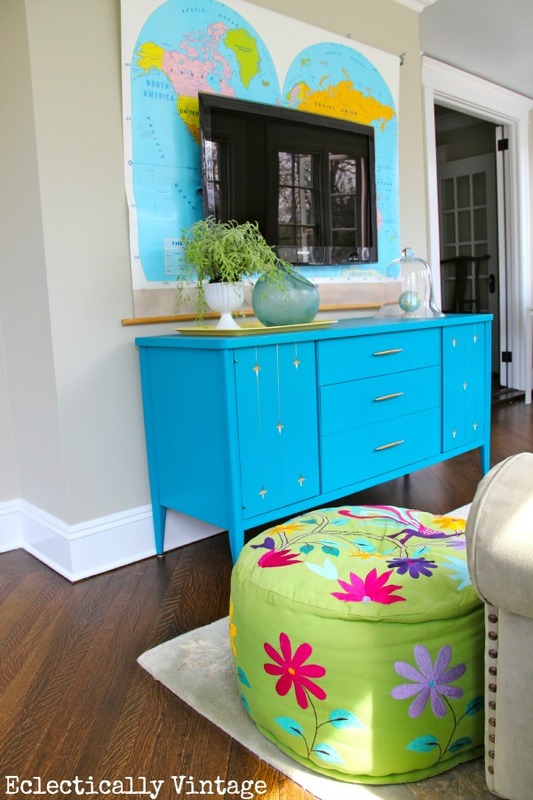 What do I love more... this bright blue piece of furniture or this bright blue world map? I can't decide. What a cool idea. I especially love how she created this lamp shade for remind her of a recent vacation. La-la-Lovely. I can't really get enough of this project. I love the rich detail. I love the wood grain. I just love it. What's not to love? Nothing. I love it ALL. I love the simplicity of this project. It probably isn't super simple make... but it looks so clean and simple. 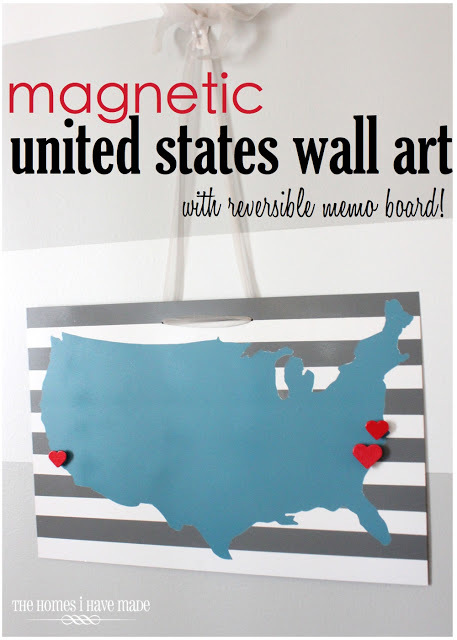 Love the colors and the heart magnets are the perfect touch! 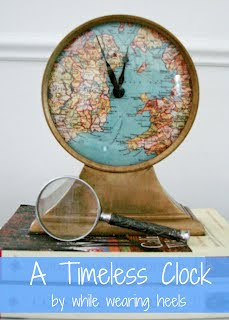 I have a thing for vintage clocks. It may not be a healthy obsession... but I'll save that convo for my therapist. This is a brilliant idea. 'Nuf said. 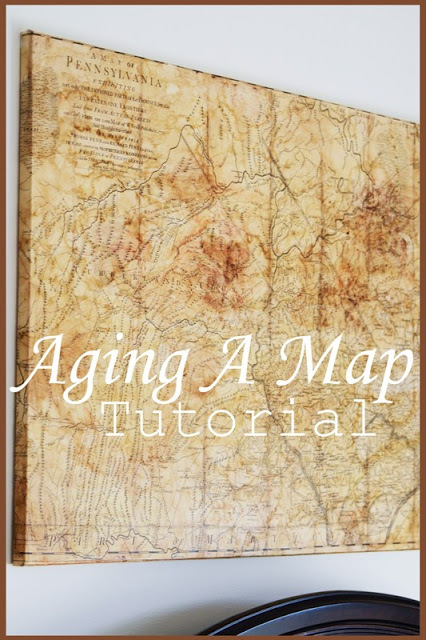 Where are all the old maps when you need them? I don't think you will be burglarizing a museum any time soon (at least I hope) so you should age a map yourself. Hello. I hope I get around to the map project I have in mind. Problem is that I don't really have a place for it right now... what am I going to do about that? Oh, and if you're still holding your breath. Good job. It's over now.